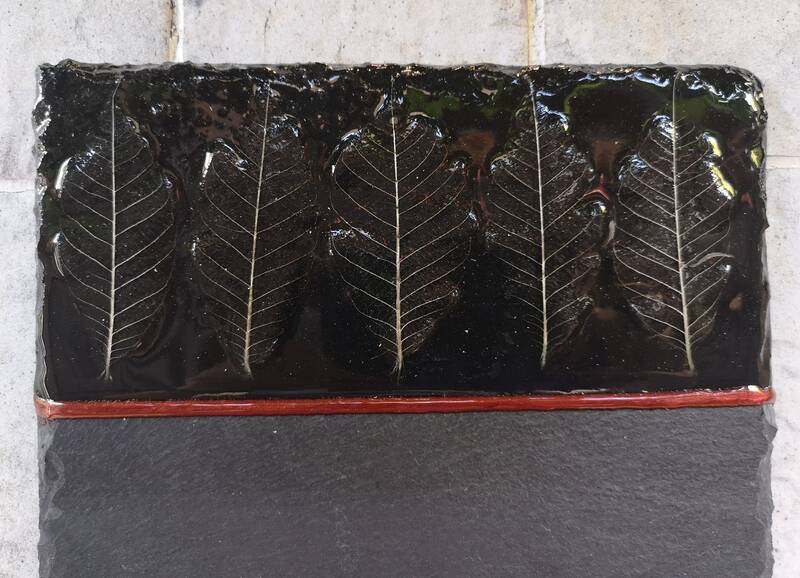 This slate board has been customised with leaf skeletons set in clear resin with a copper edge. 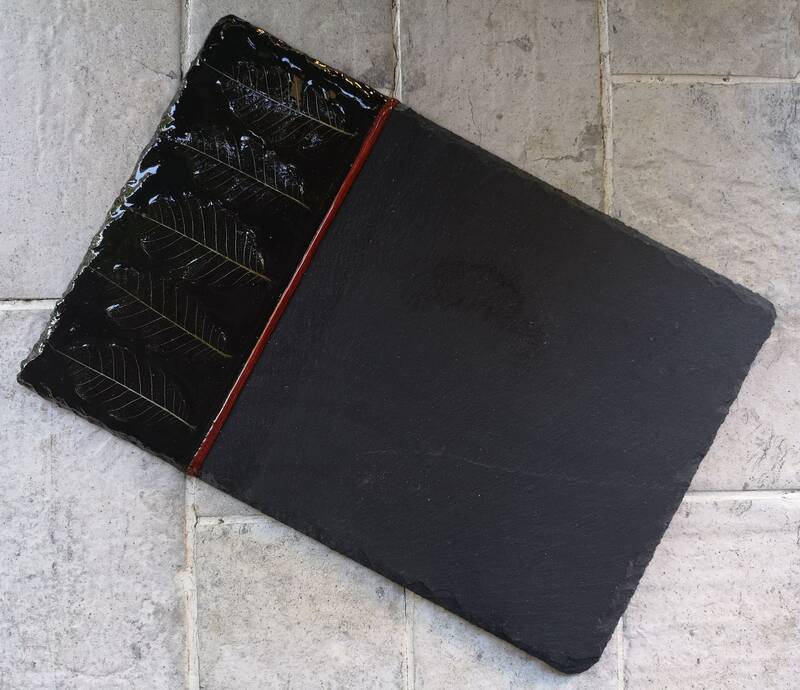 The slate has a rough edge and low profile. The artwork is finished with a second layer of resin for long lasting gloss and clarity (I use a food safe resin). The board comes with care and cleaning information so you can keep it looking spectacular. Dimensions of this board: approximately 30cmL x 20 cmW x .3cmD. The back is plain and the board has had food-grade mineral oil applied to both sides.